Former Real Madrid striker, Michael Owen has predicted that Arsenal will beat Fulham 2-1 while Chelsea will defeat Southampton 2-0 in this weekend’s Premier League matches. Chelsea are unbeaten in all competitions this season and will go top of the table if they beat the Saints on Saturday. Arsenal have also won 7 of their last matches and will be hoping to extend their winner run against Fulham. “Fulham are one of only two Premier League sides without a clean sheet so far this season and they will do well to keep a confident Arsenal side out at Craven Cottage in this High Noon showdown given the Gunners keep winning without being at their very best,” Owen told Betvictor. “The Gunners have only won one of their last eight away London derbies, but I feel they will maintain their excellent run. 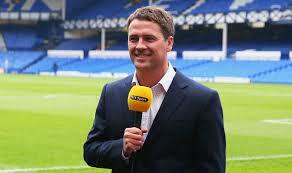 Michael Owen’s prediction: Fulham 1-2 Arsenal. “Chelsea will go top-of-the-table if they beat Saints and will feel this is an excellent opportunity to put the pressure on both Liverpool and Manchester City who meet in the eagerly-anticipated late kick off on Sunday. “Chelsea have won their last three at St Mary’s and the hosts are without a win in their last 25 Premier League games against the ‘big six’ clubs. “Southampton had plenty of possession at Molineux last weekend but lacked a cutting edge and I feel the Blues will take the points with Eden Hazard back to his brilliant best so far this season.